The German Peasants’ Revolt and the Sacramentarian Controversy (yet to be covered in this series) hindered the momentum of the Reformation more than anything else. 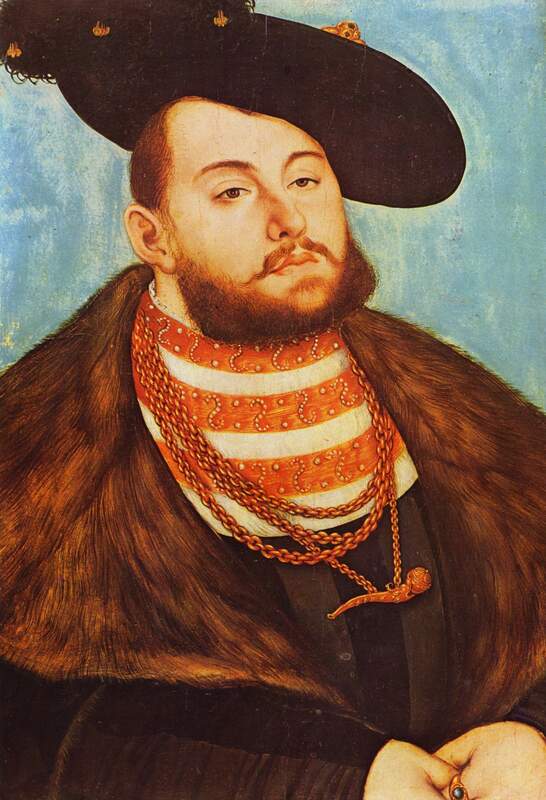 With his Admonition to Peace, Luther strained his relationship with the nobility, and with his addendum Against the Murderous and Plundering Peasant Hordes, he isolated himself from many of the peasants. On the whole Luther, as usual, was simply walking the narrow biblical path: On the one hand, “rulers are not appointed to exploit their subjects for their own profit and advantage, but to be concerned about the welfare of their subjects.” On the other hand, God clearly forbids rebellion against the government (Romans 13:1-5; 1 Peter 2:13-17) and arbitrarily taking the law into one’s own hands (Matthew 26:52). If Christians are being persecuted by their government, they can either use the legal channels available to address the wrongs (while patiently enduring in the meantime), or they can flee somewhere else (Matthew 10:23). But “rebellion is intolerable.” Luther would later accurately describe their attempt to advance the kingdom of God through opposition to the governing authorities as “fishing for the net” (i.e. going about things completely backwards). However, even though Luther claimed to be writing Admonition to Peace “in a friendly and Christian spirit,” he presented his correct biblical position in harsh language in both that work and especially in the addendum. Luther also went too far in the addendum and actually contradicted himself when he advised “everyone who can” to “smite, slay, and stab” the rebellious peasants, “secretly or openly,” since he had correctly said in Admonition to Peace that “no one, by his own violence, shall arrogate authority to himself.” Even though a dispassionate reading of the rest of the addendum strongly suggests that he is giving this advice to the ruling authorities alone, that is not the impression given at the beginning. 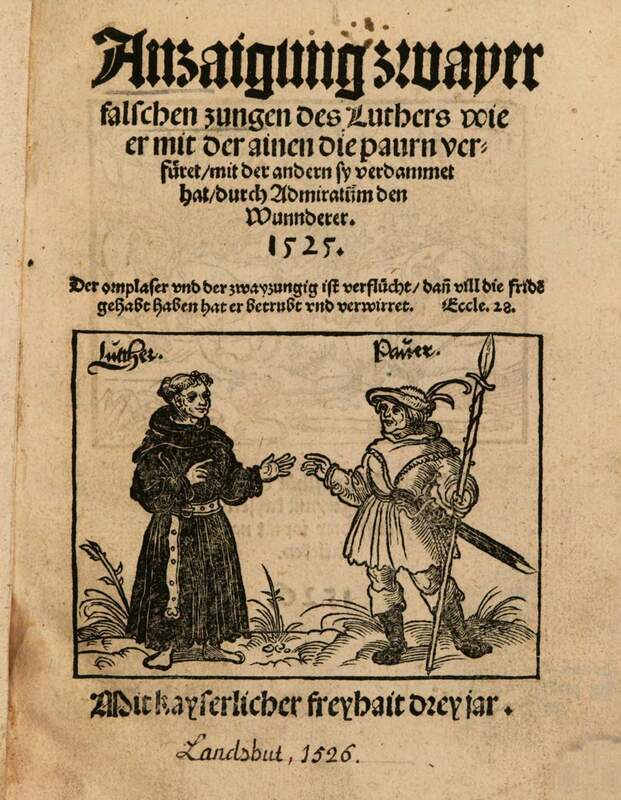 Title page of Johann Fundling’s book Demonstration of Luther’s Two False Tongues—How He Has Misled the Peasants with the One and Condemned Them with the Other. 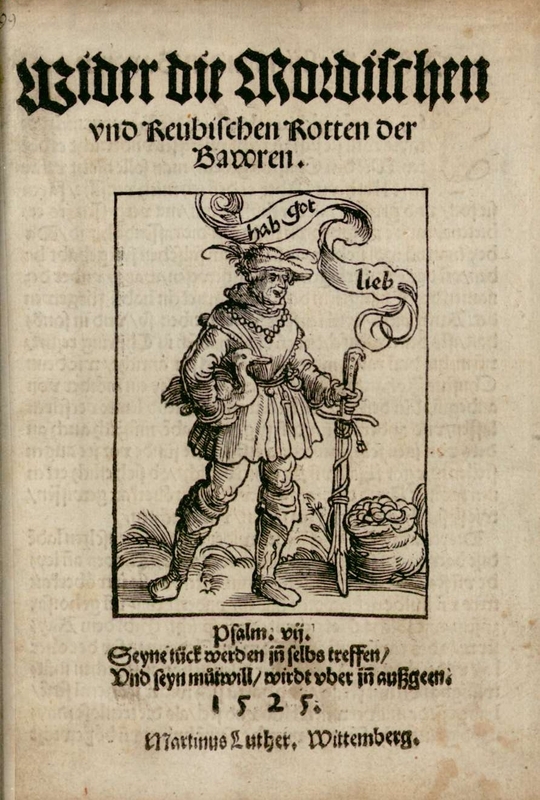 This is a reprint by Johann Weyßenburger (Landshut, 1526). But before I could even inspect the situation, [the peasants] forgot their promise and violently took matters into their own hands and are robbing and raging like mad dogs. 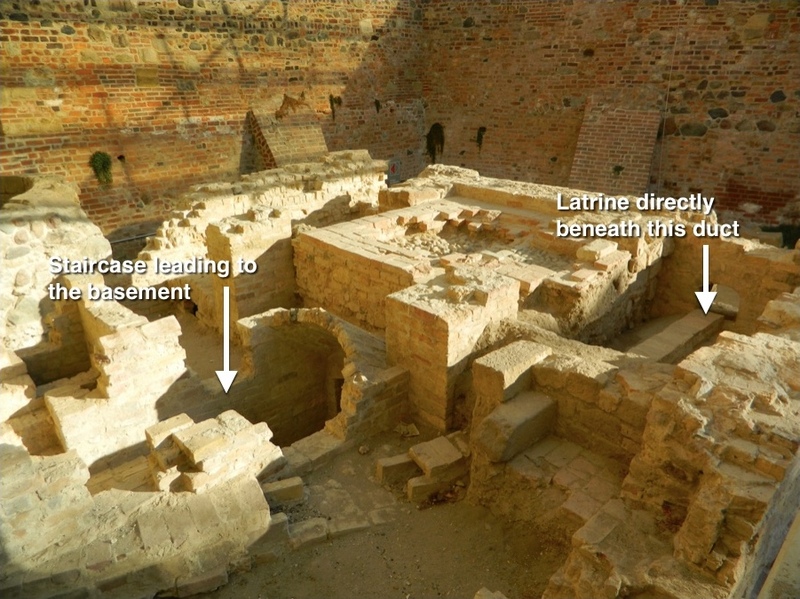 … [They] are violently robbing and plundering monasteries and castles which are not theirs. Listen here, you traitorous and unfaithful Metius Fufetius,* isn’t that exactly what you instructed and told not only the peasants but the whole world to do? Long ago, in your propositions on vows (or reproaches of them) that you addressed to the heretical men at Wittenberg that you have made out to be bishops, you said: “This is the sense of the monastic vow: I vow to you, God, that I will lead an irreligious and sacrilegious or God-ignoring life all my days” [#34 of Luther’s Theses on Vows of 1521]. Therefore, you say, the monastic vows should not only be shattered and dissolved, but also severely punished, and all the cloisters of the earth likewise, since they are idol temples and Satanic whorehouses of the devil. To this day, Luther’s biblical distinction between the two kingdoms, Church and State, and the means for carrying out God’s work in each continue to be misunderstood. * A general of the army of Alba Longa known for his treachery; he violated a treaty with Rome by withdrawing his troops from a battle between Rome and Fidenae and then waiting to see which side would win. This was not part of my sermon and service folder series, but I wanted to include it with this online series. In the midst of Martin Luther’s instructional and reformatory writings of 1519 and 1520, Hans Holbein the Younger of Basel produced this woodcut of “The German Hercules.” Luther with his tonsure and Augustinian habit, from which a lion’s skin hangs down protracted, holds a knotty club with long, sharp spikes in his right hand, in order to deal a crushing blow to the last of his opponents, which he holds down by the neck with his left hand. He is Jacob van Hoogstraaten, the Dominican doctor of theology and inquisitor of Cologne. 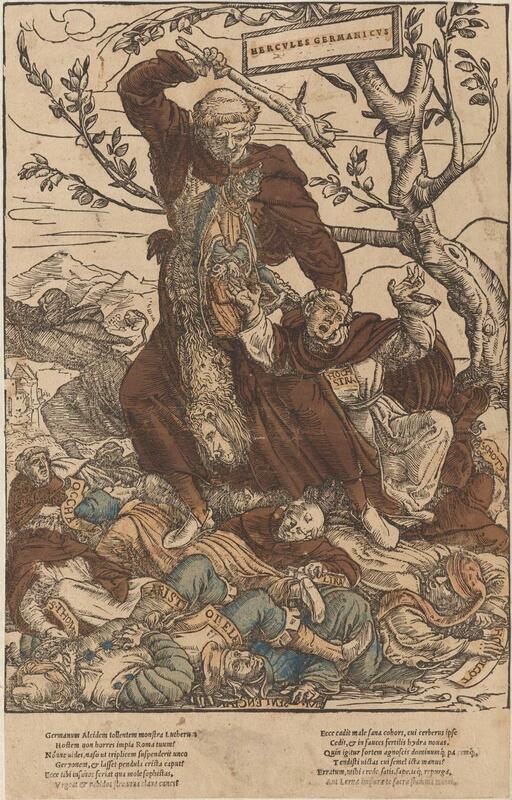 (Perhaps Holbein produced this woodcut after being acquainted with Luther’s 1519 work A Page Against Jacob Hoogstraaten.) A string is drawn from Luther’s nose, which has a strangled pope hanging from the end of it. Beneath Luther the following have already been beaten down so that they lie there powerless: Aristotle, the philosopher; Thomas Aquinas; William of Ockham; an unnamed monk; Nicholas of Lyra, directly beneath Luther’s feet with his commentary on the Bible in hand; Peter Lombard, wearing a beret, virtually crushed by those around him, and holding his book (which reads “L. IV SENTENCIAR” – short for Libri IV Sententiarum [Four Books of Sentences] – in reflected letters); Robert Holcot, an English Dominican scholastic philospher, theologian, and influential Bible scholar; and Duns Scotus, who was known for his commentary on Lombard’s Sentences, is not visible. In the background are some houses, apparently belonging to a village, beneath a mountain. Between the village and the foreground another hooded, tasseled figure makes good his escape. the German Hercules, as he does away with monsters? from an aquiline nose, and how the drooping crest wearies the head? and how the agile club besets the rabid dogs. is inferior, and a Hydra reproducing in new throats. since you stretched out conquered hands to him when you were stung the first time? or else impure Lerna’s sacred flame awaits you. So too today, what have I done to the pope? I have not taken so much as a Heller [or dime] from him. I simply swing the gospel at the monks, nuns, priests, and bishops, and all their errors and idols have fallen to the ground. 1519 and 1520 were truly the years of the Reformation proper, as far as Luther’s writings are concerned. 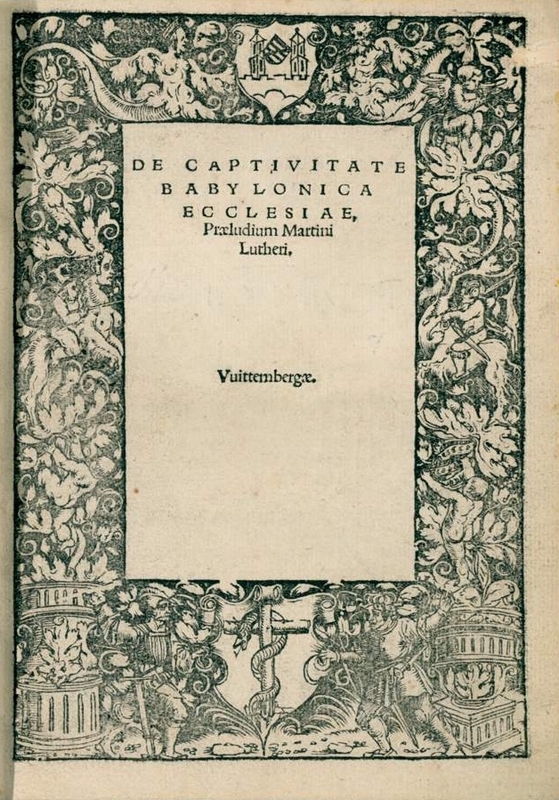 Among his instructional writings were his lectures on Galatians (May 1519, eventually replaced by his 1535 edition); lectures on Psalms 1-21 (1519), Meditation on Christ’s Passion (1519); Exposition of the Lord’s Prayer (April 1519); A Brief Form of the Ten Commandments; A Brief Form of the Creed; A Brief Form of the Lord’s Prayer (1520); A Sermon on Preparing to Die (October 1519); A Sermon on Usury (1519); A Sermon on the Sacrament of Penance (1519); A Brief Instruction on How Confession Should Be Made (January 1519) and How to Confess (March 1520); A Sermon on the Holy and Blessed Sacrament of Baptism (1519); A Sermon on the Blessed Sacrament of the Holy and True Body of Christ, and the Brotherhoods (1519); and his Treatise on Good Works (May 1520). 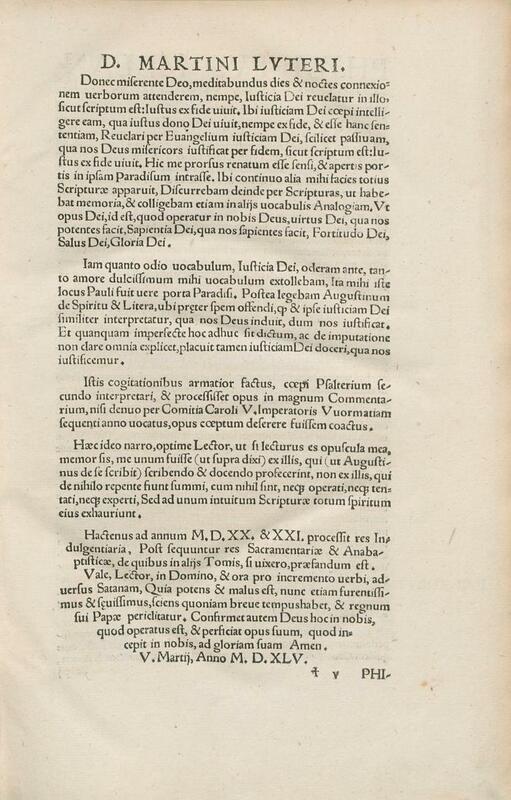 His two major reformatory writings were To the Christian Nobility of the German Nation Concerning the Reform of the Christian Estate (June 1520), in which he demanded that the papacy be reformed and celibacy for the priests abolished and proposed that every city should care for its own poor people (leading to the first congregational charity program), and his Prelude on the Babylonian Captivity of the Church (October 1520; pictured), in which he denied that there were seven sacraments and confessed only three or two (depending on whether an external element was part of the definition of sacrament), denied the doctrine of transubstantiation and taught the real presence, and taught that priests should be elected and permitted to marry. The latter work gained such notoriety that it was even rebutted by King Henry VIII of England. One time a man came to me with his wife and told me that his wife was going out of her mind. He had heard that such women should be given a good, sound beating, and should he try it once? I speak with the woman. She said that one child after another would die on her when it was born, and that was God’s punishment for her sins. I point her to her Savior and recite passages to her. She listens to it, but that’s it. I arrange to meet the man again and again. Finally have no idea what else to say. One day I had her in front of me again and asked her whether she really wanted to be saved. Suddenly she lifts up her head and looks at me beaming with joy and cries out, “That is true!” From then on she stayed happy. Yes, when God’s hour has struck, he helps through a simple little word. One time a man came and told me that his woman was a Jewess. They were not married yet and his girl, 12 years old, was also not baptized yet. He came. I start with Moses and the Prophets and prove to the woman that Jesus of Nazareth is the Messiah promised by the prophets and ask her what is her position on that. But she gave me no answer. He says, “Come on, talk to the preacher.” She remains stock-still. I arrange to meet her again. She comes and I take her alone and start again and ask what she thinks, but she remains stock-still. If I talk about something else, she is very talkative. If I start talking about Jesus, her head turns to the ground and not a word. I cannot start anything with the woman. I did most of my studying when I was riding, driving, or sitting. I had Luther, the Erlangen edition, the German volumes, which I picked up cheaply in Euclid from one of Kühn’s members through Kühn’s negotiation. 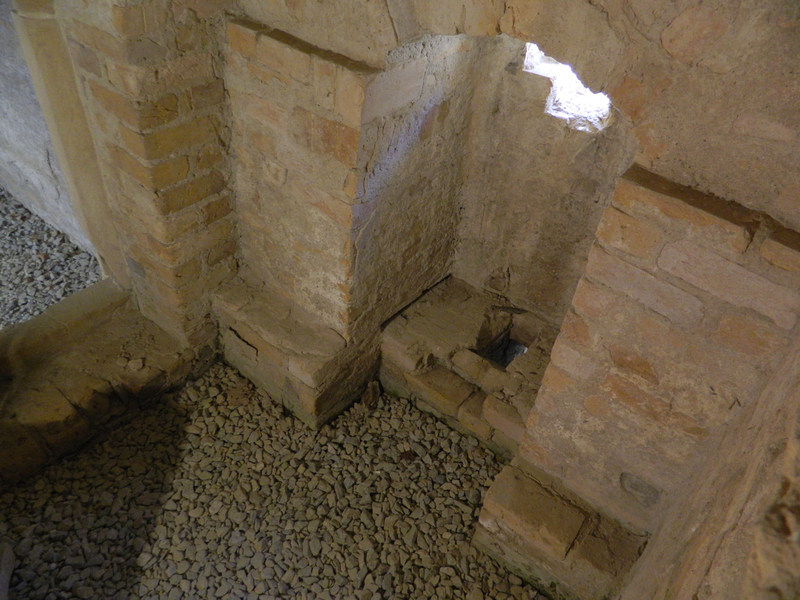 Luther’s House Postil was my constant companion, as well as another extra volume.21 I read my Luther, and my manner and method of preparing my sermon in my mind, as already noted, now came in very handy. First I would go through my Gospel, then I would run through my Luther, then I would outline, then I would think and organize, then I would preach in front of the group in question in my mind all the way from the first word to the last, and would then step confidently in front of my people. I never preached long. For confessional services I used the Catechism exclusively, simply covering part for part in order, but I didn’t just preach outright, but asked a lot of questions, doing more catechesis and taking answers so that I would also know whether they understood it. Especially a former teacher [Mr.] F. answered me very often. I did not labor in vain. Quite often it was expressed: “We never heard such sermons abroad.” Quite a few tears were cried; quite often there was grieving over the fleshly condition. “Ah, so,” I replied, “you mean, sir, that I should preach more emotionally?” Their preachers had had it as their goal to elicit the emotions, so that they would be praised for what a fine sermon they had given. But I read as my text: “Death is the wages of sin” [Romans 6:23], and preached law and gospel. One man told me, “What my pastor [Seelsorger] in Germany liked best was when he got to sit down with the musicians at weddings and play the Brumm” – the bass viol. They also could be bribed. I noticed that too. There was a man who came from 12 miles away to bring us two beautiful, nicely dressed ducks, and soon he started in, telling me that he was living in conflict with his neighbor, and I should settle it. But he gave me to understand that I should take his side. Whenever anyone came with a gift, I was suspicious. But soon they learned to think differently. 19 The man in this story was Gottlieb Busse and “his woman” was Charlotte Jacobson. Their 12-year-old daughter was Julie Busse, born on February 15, 1851. (Thus most of the events in this story took place in 1863.) Strieter baptized her on March 27, 1864, in the presence of Julius and Rose Breitenfeld and his wife Elizabeth. 20 One of the evils of Pietism enumerated by Valentin Ernst Loescher (1673-1749) in The Complete Timotheus Verinus (Milwaukee: NPH, 1998) is precisionism in matters of adiaphora, that is, unyielding strictness in matters neither explicitly commanded nor forbidden in Holy Scripture (p. 150-160). Pietists like Joachim Lange (1670-1744), Gottfried Vockerodt (1665-1727), August Hermann Francke (1663-1727), and Paul Anton (1661-1730) taught that producing or attending comedies, joking, and dancing were sinful. Pietists took activities that often lead to sin – e.g. dancing often leads to lust (cf. Matthew 5:28; Romans 13:14), and those who love to joke often end up being obscene or coarse (cf. Ephesians 5:4) – and wrongly labeled them sinful in themselves. The effects of the Pietistic movement can still be felt in the Lutheran Church today, and Strieter was not exempt from them in his day either, even though he certainly knew about Pietism and opposed it in principle. One can appreciate his concern: Lust, drunkenness, and self-abandonment are all sins, and certainly those sins abound in the kind of raucous scenes he is describing. However, while acknowledging that we do not know all the details and therefore must be cautious in judgment, it could be that Strieter went too far in refusing the Lord’s Supper to the musicians. 21 See previous chapter and endnote 12 there.